25% Fee will be charged for gift card processing. Please also include gift card payment receipt and image. If you don't have you can purchase it from any local or online store. 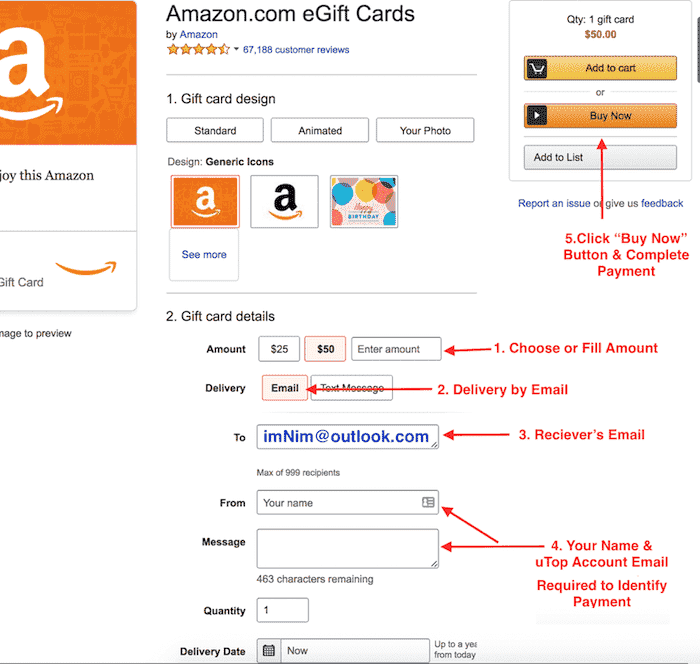 Here is tutorial about how to send/ purchase it from amazon.com official website. Once we receive gift card , your account balance/order will be updated ASAP. Usually it may take 1 hrs during working hours.